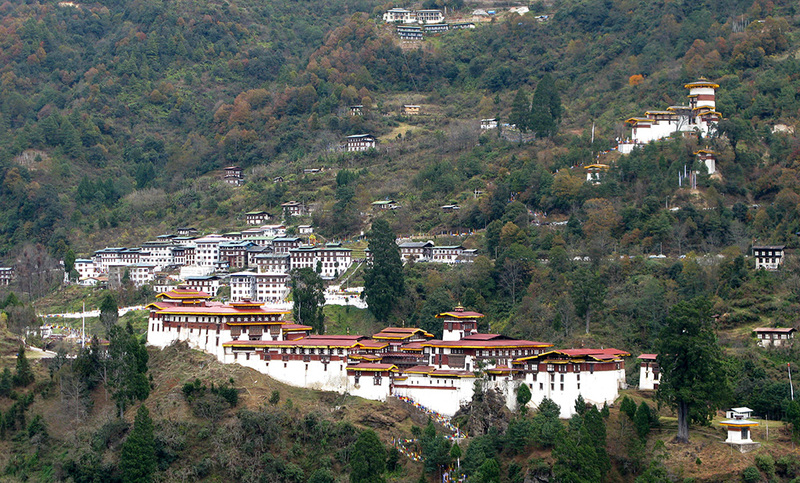 Trongsa Dzong, meaning “The Dzong on the tip of a Dungkhar (Conch) of the never-changing country of Druk and the everlasting Dharma” was built in 1647 during the time of Trongsa Penlop Chogyal Minjur Tenpa. 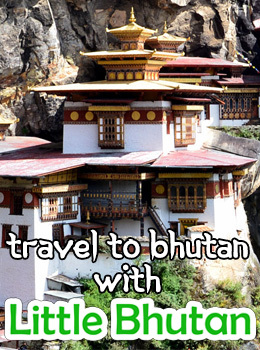 When Yongzin Ngagi Wangchuk, a descendant of Ngawang Chogyal, visited Bhutan in 1541, he mediated at Yueli In Trongsa where one night he saw a lighted butter lamp below the present Goenkhang. He also saw footprints of a steed and the lhatsho (sacred pond) of the guardian deity. Therefore, considering the place sacred he built a small temple here. 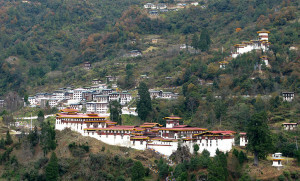 This is the site where later on Chogyal Minjur Tenpa built a Dzong.